This is a video I made to show who I am, what I do, and what I value. It is an quick look into what I have been blogging about: the simple act of getting outside, seeing the beauty of this world around us, and being conscious of our environment. This entry was posted in Uncategorized and tagged Beauty, bike riding, climbing, Environment, get outside, Keep Tahoe Blue, Lake Tahoe, mountain bike, Nature, snowboarding, Tahoe, Truckee River on April 30, 2013 by joshvega. Do you remember camping when you were younger? My family loved to camp when I was growing up. We would pack up everything: bikes, dogs, kayaks, canoes, sleeping bags, food, all the kids and pile in our van. I loved camping because we usually ate better meals camping than we would during the week at home. Me, my brother and sister would hop on our bikes and race around the campground for hours until my parents would tell at us to come for dinner, then we’d do one more lap. Those were the good ol’ days. Looking back I didn’t appreciate camping as much as I should’ve. But something about getting older is you get to look back, reflect, and learn to appreciate the good moments as they come since life only gets more busy as we get older. There are literally hundreds of options for camping in the Reno/Tahoe area. And that’s not even counting backpacking camping options. If you don’t want to be in the middle of the tourism camping that takes place in Tahoe during the summer I would recommend Frenchman’s or Stampede reservoirs. They are on highway 80 west heading towards Truckee. Both are quieter campgrounds with all the activities you could ask for. You can hike, boat, swim, bike, wakeboard, bring dogs and even ATV’s. If you want beautiful Tahoe closer to your campground I would recommend Fallen Leaf Lake in south shore. 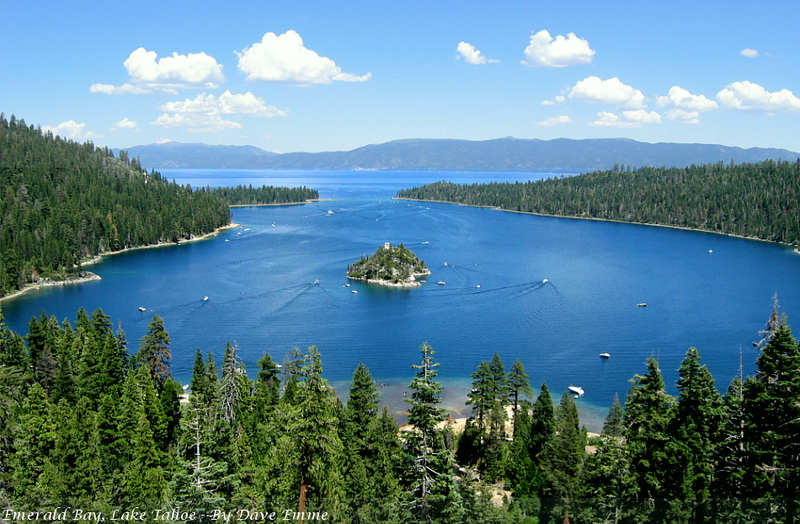 This location offers access to south Lake Tahoe, Fallen Leaf Lake, Angora Lake, the hiking trail to Mt. Tallac and more! 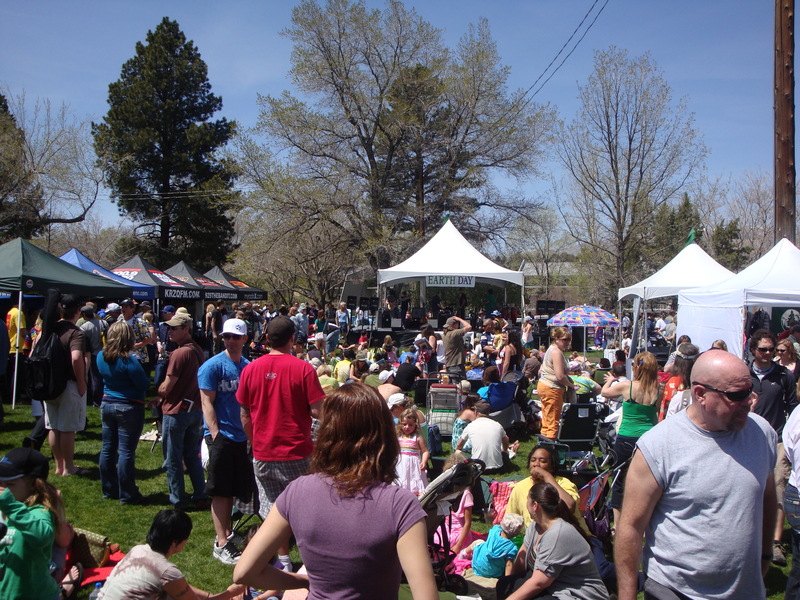 To get more information on local campgrounds in the Reno/Tahoe area visit this link. To reserve a spot at one of these campgrounds click here! So get out there, reserve a campground and make some memories. I promise you will not regret it. Since I have gotten older and go camping with my parents less I go with my friends. I’m not nearly as prepared each time, I’ll forget silverware or some item needed but we always have fun and make memories along the way! What are your favorite camping memories? This entry was posted in Lake Tahoe and tagged camping, donner, fallen leaf lake, frenchmans, Lake Tahoe, reservoir, stampede on April 27, 2013 by joshvega. Why isn’t Earth Day Everyday? Today is Earth Day. Happy Earth Day! But what does that mean? The Internet describes it as: “Earth Day is a day that is intended to inspire awareness and appreciation for the Earth’s natural environment.” Under that definition, they are asking us to be aware of the environment that is allowing us to live and sustaining our existence one day a year. Why don’t we appreciate that every morning when we wake up from a sleep? Think about this example. We use cars as tools to get places. We appreciate them for what they are. In order for us to enjoy the benefit of a car, we must do routine maintenance to ensure that we can keep driving. We get the oil changed, check the engine, rotate the tires and make sure the breaks work. People have two options, they can do this maintenance as things go wrong (brakes squeak, tire pops, etc..) or they can be proactive and do it ahead of time, to ensure that nothing bad should happen. Are we proactive with our planet? Some would say yes, and indeed there are people and groups out there who are thinking ahead and trying to do the things to ensure our Earth is a “well-oiled machine.” But if everyone drives this car, say it is a communal car that a neighborhood all shares. That car is going to be driven all the time. The more it’s used the sooner it will need maintenance. Wouldn’t it make sense that everyone who drives it pitch in to make sure it runs well? If there is only one guy trying to do the maintenance for everyone and stay ahead of everything that needs to be done he is going to be in over his head because the other people won’t chip in for the amount that they are using it. This is what is happening with our Earth. Now, the Earth is different than a car, I simply used that as a small example to help get the point across. Throughout our lives we all enjoy the benefits that this planet gives us. Are you pulling your weight more than one day a year, not just on Earth Day? I know that I enjoy this planet 365 days a year. There isn’t a day that goes by where I am not appreciative of the beauty around me and happiness I get from living on this planet. I am not able to reciprocate 365 days a year, but I try to do as much as I can when I can. By creating an ongoing appreciation for Earth, we can subconsciously become more responsible every day. 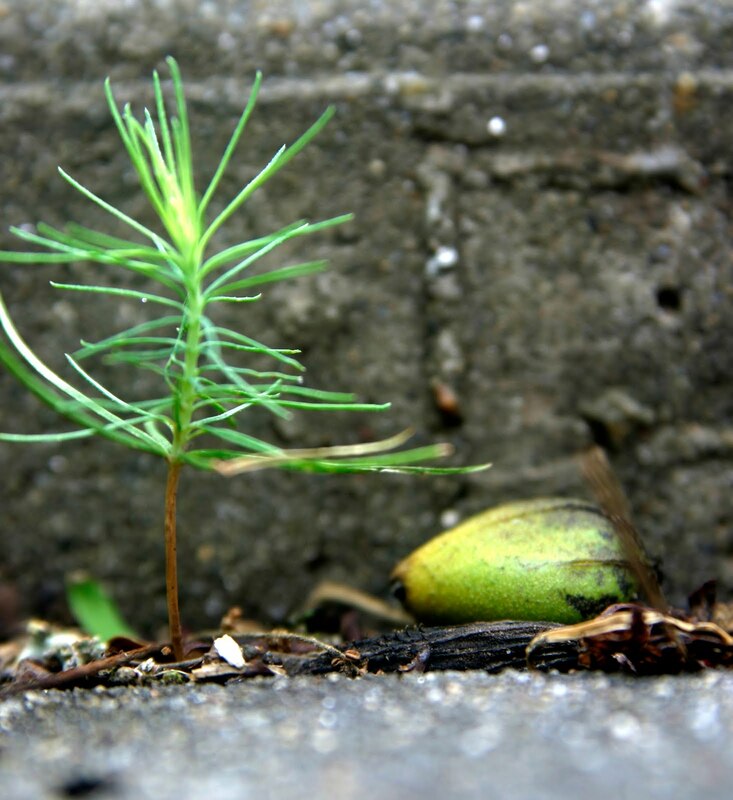 Without realizing you will start to contribute a little bit. This is going to look different for each individual, so I encourage and challenge you to think of ways that you can really appreciate the Earth everyday. It can range from recycling all your paper and plastic at work to joining an environmental group such as Keep Tahoe Blue. So let’s celebrate Earth Day every day, not just one day a year. This planet helps to give us life! So let’s give a little something back. Please share what you do or would like to do to make everyday Earth Day. This entry was posted in Uncategorized and tagged appreciation, earth day, every day, give back, Keep Tahoe Blue, planet on April 22, 2013 by joshvega. 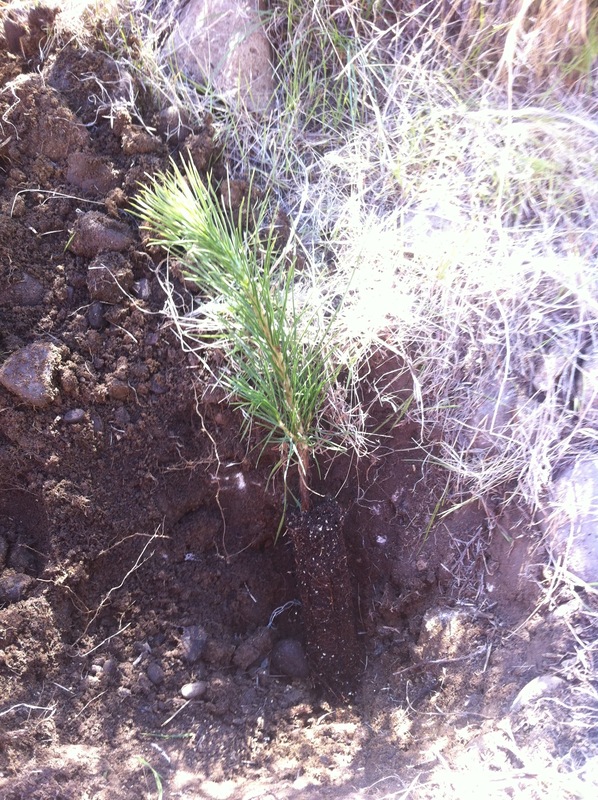 Planting with the Sugar Pine Foundation! 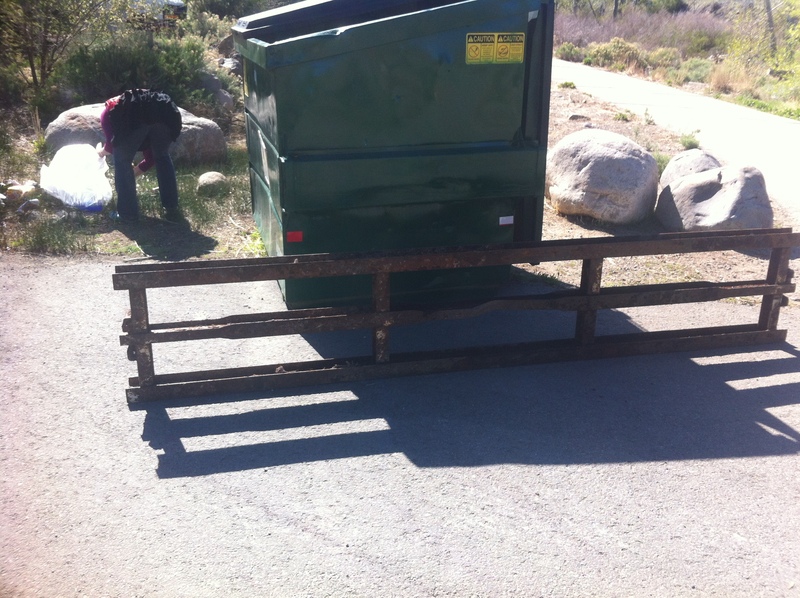 Today I had an opportunity to help the environment literally right in my own backyard. Patagonia, where I work, is located right on the Truckee river. On the opposite side of the trail are trails, a ditch creek, and some good hikes. Many employees go walk or run the trails on lunch breaks and many non-Patagonia employees hike on these trails everyday. The hill used to be a forest that ran up to the river on the south side, but deforestation has left it a desert. 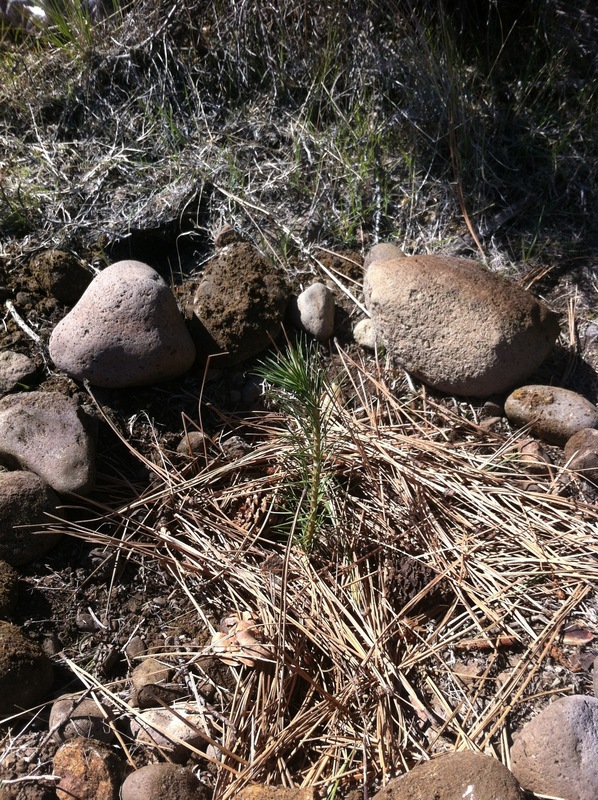 Today the sugar pine foundation came to our work and employees volunteered to plant baby Jeffrey Pines along the hillside. 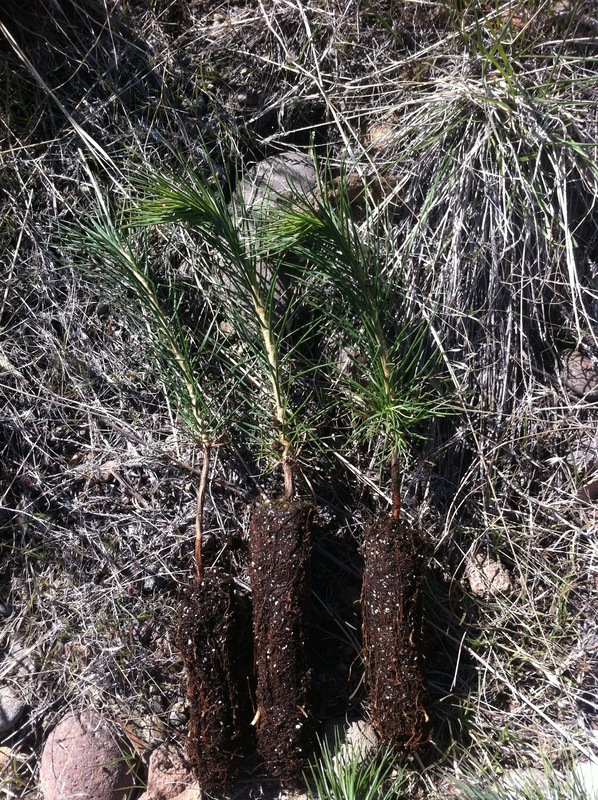 I was able to participate and the group planted over 250 baby Jeffrey Pines! First, you find a nice flat, north facing area that can provide shade for the baby tree. Areas where water will naturally run were preferred because Nevada is so dry that these trees need as much water as they can get. Here are some baby seedlings that we planted. A picture of the seedling in the hole before filling it. Dig the hole about a shovel head’s length deep. Fill it with dirt and pack it down. Throw some mulch over it and then give it some water. 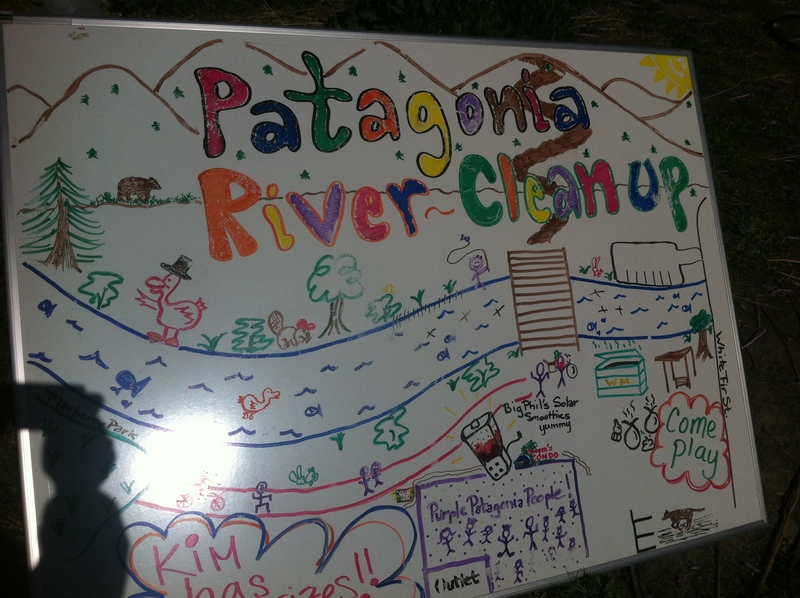 Patagonia employees planted 250 trees along the side of the hill that is on the other side of the river. If everybody helps out, waters the seedlings, and we get some good rain, we should be able to see some trees on the desert hill soon! It was awesome to help out and give back to the area where I spend time working and running on my lunch breaks. I can’t wait to come back in years and see these trees grow up big! I love giving back to the earth that gives me so much. I encourage everyone to get out there and do at least one event or volunteer opportunity like this, because everyone helping out can do so much for our environment that we enjoy everyday. Get out there and give back this spring, come back here and share what you did! This entry was posted in Uncategorized and tagged Environment, Lake Tahoe, pine, sugar, Sugar Pine Foundation, Tahoe, trees on April 17, 2013 by joshvega.